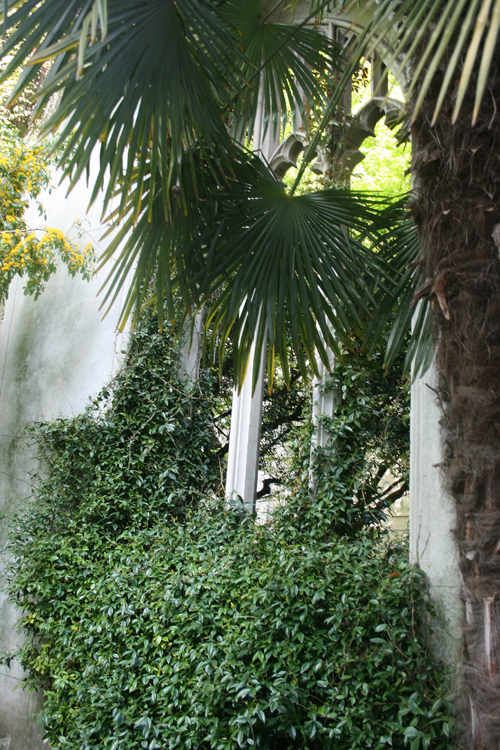 Yesterday’s The Shoot for Tropic Thunder was less inspired by shoots in the fashion magazines than the location itself. 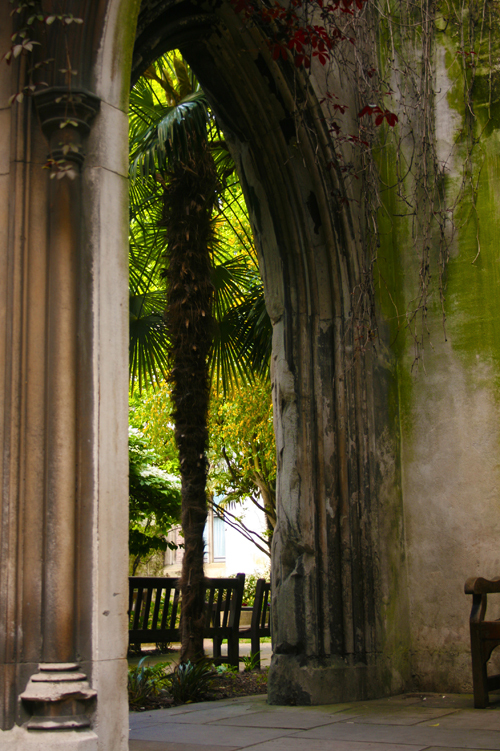 The location is St. Dunstan in the East, a ruined church that was bombed out during WWII and then transformed into a small garden in the heart of the financial district, the City of London. 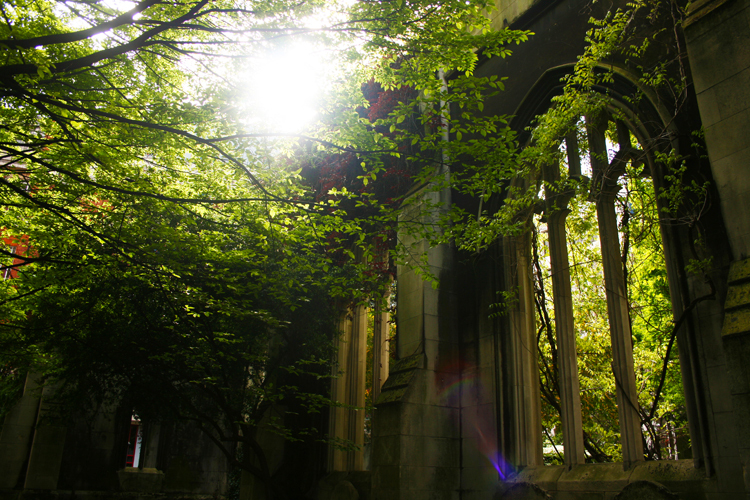 It’s such a dichtomy, when all around the old church and garden there are large skyscrapers and towers of glass . The little garden is just so serene, I knew I had to do a shoot here; I had just had to figure out what the style was and what clothes would fit this location. In the end, I thought it was the best place to show off this season’s tropical prints, and this Karen Millen dress with the jungle print seemed like a great choice. There were a few shoots in different magazines that did help with the styling and I’ve put a few up here. The first one that really influenced me was Elle UK from June 2012. The bold colours and the emphasis of the green leaves around the model really captured my imagination. The second shoot was L’Officiel Paris from March 2012. I love the soft lighting in this shoot and it was this lighting that I wanted to recreate in my shoot. The lighting is natural enough it shows off the dress the model is wearing. 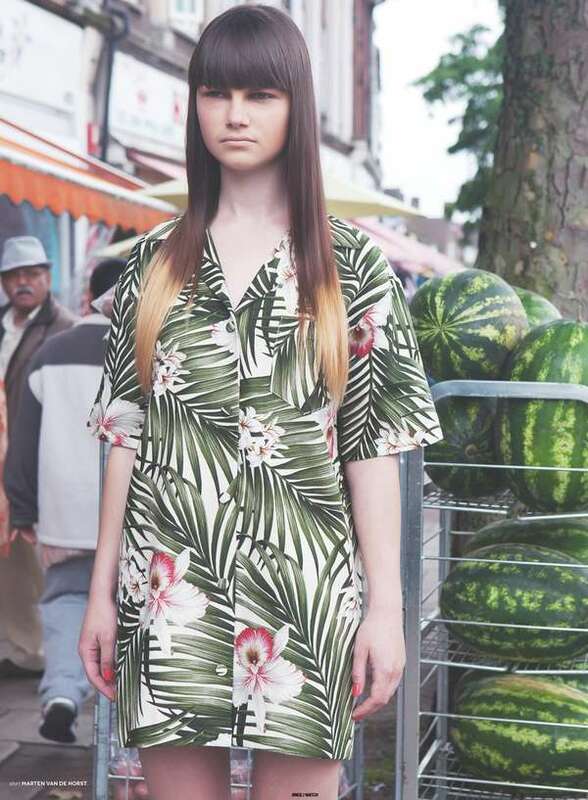 The photo below is a street style photo of a girl with an absolutely fabulous palm print dress on her that I’d really love to get my hands on myself. So that’s my shoot inspiration for the day. Let me know what you think of it.